Writing in Regulation magazine in Fall 2001, Randal O’Toole maintains that Oregon’s well-intended Smart Growth policies have had bad side effects. Mr. O’Toole is senior economist for the Oregon-based Thoreau Institute, which advocates environmental protection through incentives rather than government regulation. His analysis is available as a PDF. To meet the targets, municipalities were required to rezone existing neighborhoods or vacant lands to higher densities. The new minimum density zoning codes specified, for example, that the owner of a vacant quarter-acre lot in an area zoned for 24-unit-per-acre apartments could not build a single home — or even a duplex — on the lot. Instead, the owner would be required to build at least a six-unit complex, or else nothing could be built on the land at all. The region’s cities and counties encountered major opposition when they tried to rezone existing neighborhoods to higher densities. One Portland suburb recalled its mayor and two members of its city council from office after they endorsed higher densities over local opposition. To meet their targets, planners turned to rezoning farms and other open spaces as high-density areas. One suburban county rezoned a golf course for 1,100 new housing units and 200,000 square feet of office space. Ten thousand acres of prime farmland inside the urban-growth boundary were also targeted for development. …Open space in valuable locations such as people’s backyards, urban parks, and golf courses will be transferred to less valuable locations such as private rural farms that are unavailable for recreation. When judged by the results rather than the intentions, the costs of Portland’s planning far outweigh the benefits. Planners made housing unaffordable to force more people to live in multifamily housing or in homes on tiny lots. They allowed congestion to increase to near-gridlock levels to force more people to ride the region’s expensive rail transit lines. They diverted billions of dollars of taxes from schools, fire, public health, and other essential services to subsidize the construction of transit and high-density housing projects. Those high costs have not produced the utopia planners promised. Far from curbing sprawl, high housing prices led tens of thousands of families to move to Vancouver, Washington, and other cities outside the region’s authority. Far from reducing driving, rail transit has actually reduced the share of travel using transit from what it was in 1980. And developers have found that so-called transit-oriented developments only work when they include plenty of parking. The “decline” of cities that officials worry so much about is due to the fact that cars, telephones, and electricity make it possible for people to live in lower densities–and most choose to do so. To be sure, most recent downtown growth has been in the areas of arts and entertainment. This fails to impress downtown traditionalists, who still think downtowns should be the main retail and commercial centers of a city. So New Urbanist prescriptions, such as limits on new shopping malls and parking restrictions in existing malls, are appealing to downtown businesses. If new stores can’t open in the suburbs, goes this line of thought, they’ll have to set up shop downtown. The best prescription for the central cities is to let them depopulate as people move out to the suburbs. As their densities fall, they will become more attractive places to live. This has happened in Cleveland, the former national joke which has become one of the more livable cities in the Midwest. …One of the goals of the “smart growth” platform is to increase population density. The idea is that if people live close to one another and near shops and jobs they will do more walking and biking. In fact, however, the more people there are in an area, the greater the traffic congestion because most people continue to use their cars. In 1992, Portland’s regional planning authority, Metro, began doing nearly everything smart growth advocates propose. They continued to uphold a 1973 urban growth boundary, rezoned neighborhoods to double the density, and diverted funds from new road construction to light-rail transit. What happened? Portland, once one of the nation’s most affordable housing regions, is now one of the most expensive. “Leapfrog” suburbs are springing up outside the urban growth boundary. Taxpayers are forced to subsidize high-density housing and public transportation that is used by only 2 to 5 percent of residents. Open space for recreation is at risk after 10,000 acres of parks, fields, and golf courses were rezoned for infill development. One important outcome of the Boulder [Colorado] open space purchase program has been leapfrog development of areas outside the greenbelt. Many critics of the program maintain that development was not thwarted, but rather relocated. Our [research] results support this conclusion. In fact, commercial and residential expansion occurred because of the program. 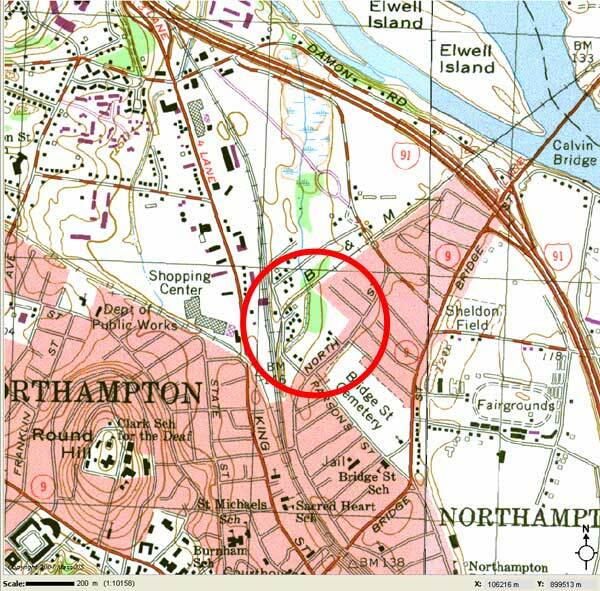 It’s true that the cost of homes has outpaced incomes in Northampton in recent years. However, much of this is due to a nationwide credit bubble that is deflating as we speak. It would be a shame to irrevocably give up precious urban greenspace to address an unusual and transient economic condition. Housing Market, Infill, Ordinances and Regulations. permalink.